Cheap International Calls iPhone, Download VIPConnect Today! Home / Cheap International Calls iPhone, Download VIPConnect Today! Get VIPConnect for Cheap International Calls on iPhones! Make really cheap international calls directly from your iPhone by simply downloading the VIPConnect® app for iPhone now! 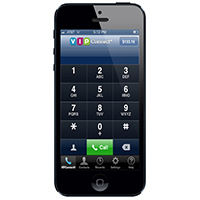 See how easy it is to use VIPConnect® - iPhone international calls app! The VIPConnect international calling app for iPhone lets you make high quality calls to friends and family around the world right directly from your iPhone. Simply download VIPConnect, our free iPhone international calling app, set up your account in minutes, and start taking advantage of the best international calling rates, all while dialing directly from your contact list. In addition to crystal clear connections and incredibly cheap international calls, iPhone users will also benefit from frequent special promotions, amazing referral deals and high quality customer service with VIP Communications. Whether you’re looking to call loved ones and friends throughout Africa, South America, Asia or almost any other region, iPhone international calling has never been easier than with the VIPConnect app. Getting started with iPhone international calling using VIPConnect is remarkably simple. Simply download our free VIPConnect app to your iPhone or iPad, set up your account in a few minutes, and then use the app to make an international call from your contact list. Your call will be seamlessly routed through your VIP account and as an added bonus your first 5 minutes will be free. After that you’ll take advantage of competitively low rates when you make international calls on your iPhone or other iOS device running 5.0 or later. Domestic calls use your mobile service provider as usual. There’s no need to change providers or deal with the hassle of access numbers or PINs. Wherever you are in the United States, you’ll be able to easily connect with the important people in your life who live overseas. In addition to our always-low rates for iPhone international calling, we also offer you frequent promotions to make calling your loved ones even cheaper. We’ll offer special discounts for calling specific countries, including Ghana, Kenya, Nigeria, Ethiopia and many more, as well as special holiday deals. You’ll also have opportunities to win free calling credit through our social media contests on Facebook. And when you refer friends and family, we’ll thank you with a bonus credit to your account when they sign up. The more referrals you make, the more you’ll save. At VIP Communications we’ve been helping to connect people around the world with amazing low rates and excellent customer service for 20 years. You’ll not only benefit from great rates and exceptional quality when you use our international calling app for iPhone, but also experience live customer care and technical support should any issues arise. Our iPhone international calling app delivers clear connections to any country on your contact list with a push of a button. Find out why so many people rely on the VIPConnect app to stay in touch with their loved ones by signing up for your account today and making your first call for free.